Everything changes in the blink of an eye. One minute I'm having the time of my life with a new family, and the next, I am six feet deep hollow of emotion with a huge amount of guilt on my shoulders. How could this happen? How could so many lives depend on us only for us to let them down? Stitches, broken bones, shattered hearts, God, the Avengers were torn. And to make it worse, the government decides to step in with a different agenda. Lilly Parker reunites with her cousin, Peter Parker, and tries to make the world a better place. Meanwhile, two villains team up and make a plan to conquer the world. But, every plan has its faults. 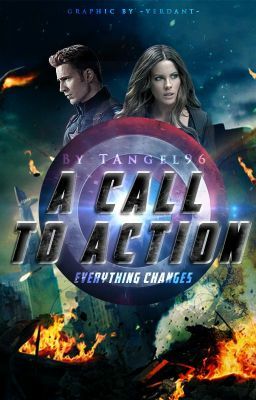 With heartache, fights, and romance in the bloom, the Avengers have to work together to stop the impending war or watch society crumble into chaos. Book 1 of 3 *Set after the fall of SHIELD in Captain America 2: The Winter Soldier. Trust doesn't come easy, so some of the characterization is based on lack of trust at first. *I do not own any of the characters except for the main one. The plot is my own work and I'm proud to own that. Please enjoy and feel free to leave as many comments as you wish! *Cover by the amazing @-verdant-!